When starting a journey, it is helpful to know where you are going. The same is true when you fast. It does not have to be an elaborate plan with every detail known. It may be as simple as a desire for a stronger walk with God. But there are times when God may be leading you to fast for a purpose. This is a five-day plan with audio. Every journey has a starting point that leads toward a desired destination. Your WALK with God is the same. You learn about the role of faith, God’s grace, deepening your relationship with Him, setting aside worry and more. In this 5-day audio plan, you will hear ideas on how to be responsive to what God wants you to focus on and do. Christmas is a wonderful time of year. The story of the birth of a Savior is all around. Even the mall plays songs about Jesus. But have you looked at the journey it took to get there? Each day of this six-day devotional contains a short (1-2 minute) audio message from a guest that ties into the theme. May you have a more significant and reflective Christmas as a result. In the New York Times best-selling book When , author Daniel Pink says, “When we reach a mid-point, sometimes we slump but other times we jump. A mental siren reminds us that we have squandered half our time.” Our prayer is that you have “invested” the first half of your year well. But whether you would like some encouragement to power through the second half or need a bit of motivation to beat a slump, we offer this seven-day challenge. Each day contains a short audio message (1-2 minutes). The “dog days of summer” phrase describes the time of year when it is hot and the summer is winding down. A big change of schedule is often right around the corner. Before you begin a new routine, why not hit the pause button to reflect on your walk with God? This five-day video plan includes short video segments (2-3 minutes) to help you head back to work or school. Good conversations involve both talking and listening. The same is true as we pray. Too often we focus on the how, when, and where of prayer. But better questions are: “How honest are our prayers?” and “How well do we listen?” Each of the 5 days in this plan contains a short audio message (1-2 minutes). We will cover topics like conversational prayer, praying sincerely, powerful prayers, and listening to God’s voice. Regardless of where you are in your WALK with God, the best growth often comes when we step outside our comfort zones. In this five-day audio plan, you will hear one- or two-minute messages from five different people. They talk about ways to reconnect with God, find pockets of time, face uncertainty, use the power of words and step out in faith. Individually we can only do so much to care for others. Connecting with other like-minded individuals will accomplish more. If everyone plays even a small role, the combined total makes a big difference . Each of these devotionals contain a short audio message ( 1-2 minutes ). The guests share ideas on how you can seek out others to join you and how together you can make a difference in others’ lives. Jesus said, “In this world you will have trouble, but take heart, I have overcome the world!” This means that everyone will encounter suffering in one form or another. Jesus reminds us to “take heart” because He will be with us every step of the way. The guests in this five-day plan (with audio) share helpful insights on this topic. Suffering can seem like a journey with no end in sight. But like everything, God walks with us through it. This five-day devotional provides ideas for how to trust God no matter the outcome. We know that suffering is not the end of the road. Others will sometimes come alongside us, but Jesus will fill in the gaps when they are not there. Joy can be ours today! Spending time in God’s Word as a family can help plant seeds of faith . Your children gain insights that will help them in life. But how do you lead your family in God’s Word? This five-day plan includes short (1 to 2 minute) audio segments from people like you. You do not have to be a scholar. These are ideas for all ages that you can use right now . Cru is a movement dedicated to helping everyone know someone who truly follows Jesus. In July 2017, over 5,000 Cru staff gathered for a week of inspirational growth - leaving in awe of Jesus and the gospel. Each of these five devotionals from Cru17 contains a short audio segment from a main speaker ( 1-2 minutes ). Our prayer is that these highlights help you trust God to make your life count. Fasting can take many forms and have different purposes. Health, diet and enhancing one’s personal discipline are popular reasons. The idea of a Biblical fast is almost as old as time. Jesus fasted at the start of His public ministry. We can learn from Him. This plan will help you see how God is moving in people’s hearts to fast - and how to do a fast in the power of the Holy Spirit. You are comfortable with sharing your faith with others. Now is the time to get others to join you in the quest to share the joy of Jesus through word and deed. Each of these devotionals contain a short audio message (1-2 minutes). These ideas will help you inspire others to begin shining their lights for Jesus . Your WALK with God will take you to some unexpected places. God provides direction and insight to help you have a joyful and meaningful journey. 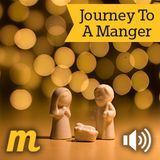 In this 5-day audio plan, you will hear about mapping your journey God’s way and be challenged to join with others along the way. The one- to two-minute audio messages are given by five different people. Viewing prayer as an ongoing conversation with God is a great way to develop a life of prayer. We should seek to move those conversations to heart-felt connections with God. Each of the five days contains a short audio message (1-2 minutes). The guests talk about what they have learned about connecting with God in prayer. We cover intimacy, praise, consistency, praying always and surrender to Jesus. Is your prayer life feeling routine? Your prayer life should be refreshing and enjoyable. This plan can help bring new life to your prayers. Each of the five days contains a short audio message (1-2 minutes). In the audio, the guests share ideas that they have used to expand their prayer life. This plan covers topics of faith stretching prayers, prayer walking, solitude, creative ideas and fresh perspectives. The Bible says when two or more gather, God is in their midst. But as greater numbers gather, movements develop, and a prayer movement can change the world. It starts with just one person - could that be you? Each of these five devos contain a short audio message (1-2 minutes). The guests share about seeing God’s redemptive plan at work - with dramatic results. Compassion is a powerful word. It goes deeper than showing sympathy for a person's pain. Compassion drives you to action. Each of these five devotionals contains a short audio message (1-2 minutes). The guests share about hearing from God, encouraging others, loving unconditionally, and proper boundaries. By the end of the five days, you should have a stronger sense of how to love with compassion. Prayer is a powerful way to interact with both God and others. Praying with others can be both encouraging and deeply meaningful. This plan will help you think of new ways to do that. Each of the five days contains a short audio message (1-2 minutes). The guests share about praying face-to-face, deepening relationships through prayer, seeing God's power, and leading group prayer. Caring for the needs of individual people was very important to Jesus. We see how He healed people, met with outcasts and showed love to children. Scripture clearly shows Jesus’ compassion. Each of the five devotionals contain a short audio message (1-2 minutes). The guests share about seeing needs, looking for opportunities and giving their time. You too can be a loving friend that makes a difference to someone. Opportunities to care for others are all around us. But often times, seizing these opportunities to care takes intentionality and creativity. Each of these five devotionals contain a short audio message (1-2 minutes). The guests share practical and creative ideas that you can immediately use. By the end of the five days, your thinking on how to care for others will be expanded. Walks are often enjoyed with other people. It’s great to be able to talk about what you’re seeing, feeling, and hearing. As we walk with God, He also intends for us to help others WALK more closely with Him. Each of the 5 days of this audio plan contains a short message (1-2 minutes). We will cover mentoring, connecting with others, seeing opportunities and handling challenges together. Easter is not about chicks and bunnies. Scripture describes Jesus’ experience to purchase our forgiveness, but His death was not the end of the story. Easter is hope, renewal, mercy and grace. Each day of this devotional contain a short (1-2 minute) audio message. The guests share their thoughts and experiences about renewal in their lives. They will help you focus on the mercies and hope God extends to you.